How do I record solo and assisted tackles? 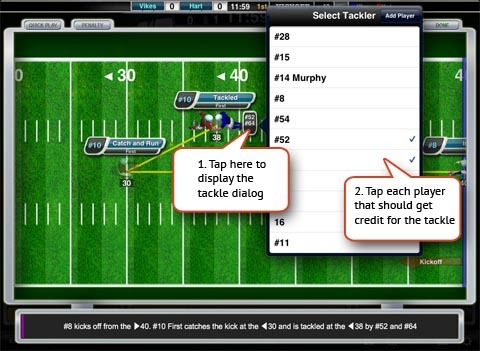 Tackles are entered by bringing up the Play Entry screen and tapping on the tackle area of a player icon. To record a solo tackle, select only one player from the list. To record assisted tackles, select multiple players from the list.